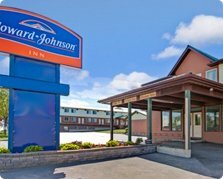 The recently renovated Howard Johnson Inn Gananoque 1000 Islands is located in the heart of the Thousand Islands region on the bank of the St. Lawrence River. Family operated for 25 years, the pet-friendly Howard Johnson Inn offers warm hospitality and exceptional service to please business and leisure travelers alike. 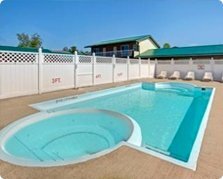 Amenities include: free wi-fi, 40″ cable TV, jacuzzi suites, microwave, mini-refrigerator, coffee maker, complimentary continental breakfast, outdoor heated swimming pool and free local calls. 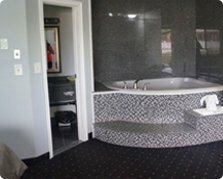 In addition to welcoming visitors to the 1000 Islands region, the inn is well equipped to serve business travellers with a 24-hour business centre and a conference room that can accommodate up to 100 people. 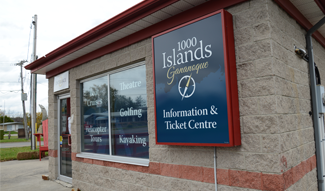 In close proximity to a variety of 1000 Islands attractions, the Howard Johnson Inn Gananoque 1000 Islands is ready to entice families, couples, friends and treasured travellers.